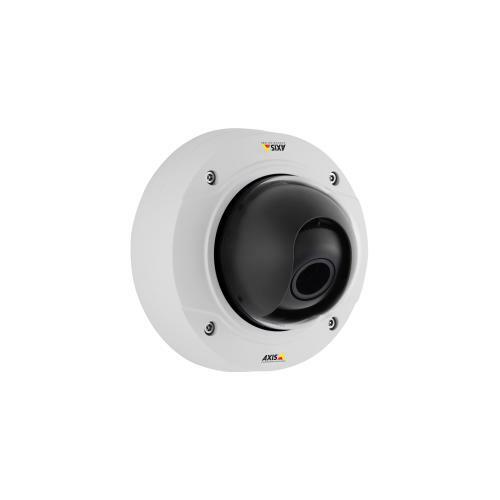 AXIS P32 IP CCTV camera series now provides even better image quality thanks to its new Mk II fixed dome models with upgraded sensors and image processing. The series now offers all the beneficial features together: Wide Dynamic Range (WDR) – Forensic Capture, Axis’ Lightfinder and OptimizedIR technology, achieving HDTV quality in all light conditions. Axis Communications updates its popular AXIS P32 Series, a range of affordable cameras. The successor cameras combine Axis’ Lightfinder technology, which delivers optimal light sensitivity with color video down to low light conditions, and Axis’ WDR-Forensic Capture technology, which optimizes for forensic purposes by providing an exceptional level of image detail in both dark and bright areas of a scene. Many of the models have built-in near infrared (IR) illuminators. Reliable and vandal resistant, AXIS P32 Series includes dust and IK08 impact-resistant indoor models, as well as weather and IK10 impact-resistant outdoor models. All have day/night functionality and support P-Iris control for optimal image clarity and depth of field. The cameras’ varifocal lens with remote zoom and focus capabilities provides an efficient way of adjusting the field of view to a particular area of interest. All of the eight successor models support Axis’ Zipstream technology, which allows for considerable cost savings thanks to reduced bandwidth and storage requirements. Just like their predecessors, they support edge storage, hosted video and the AXIS Camera Application Platform. All current AXIS P32 IP CCTV camera models will be discontinued and – when out of stock around September-November depending on the model – replaced by the corresponding Mk II successor model. The Mk II models are compatible with existing AXIS P32 accessories and spare parts. The updated AXIS P32 models will be available through Axis’ distribution channels. Tagged Axis Communications. Bookmark the permalink.